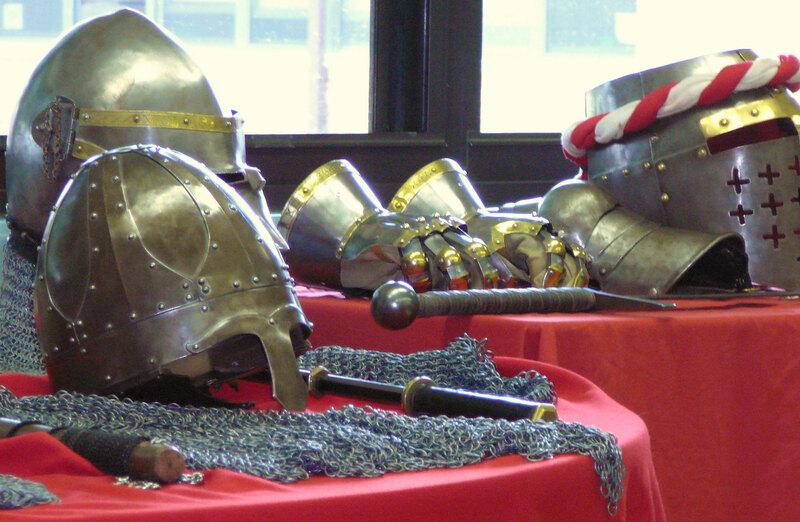 Sir Randall's hands-on program is a wonderful special event for school, homeschool, church, scout, public library, & adult special interest groups. 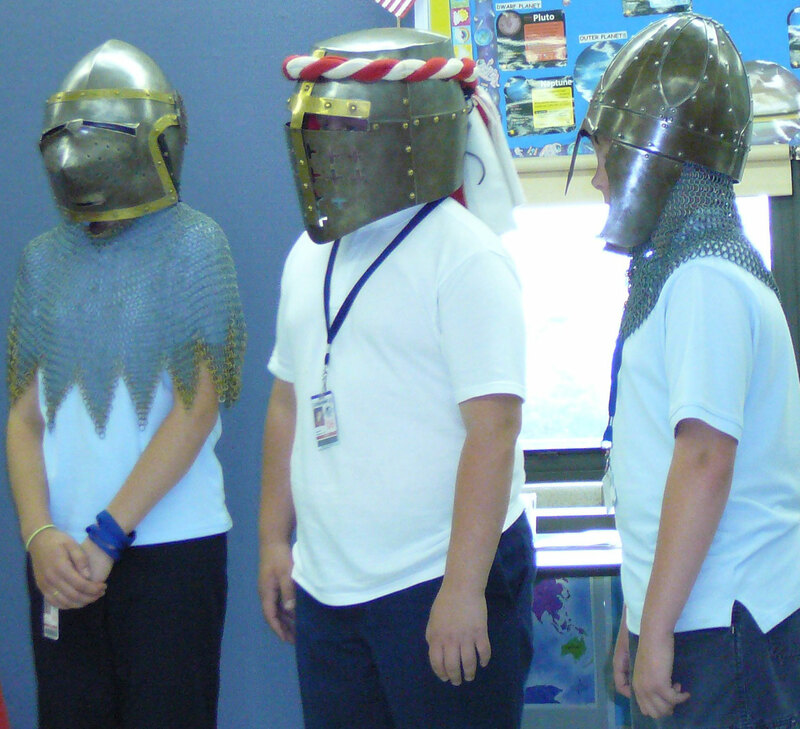 Illinois sixth grade teachers regularly have him visit as a finale to the unit on Medieval History. The Illinois Library Association's Summer 2011 Reading theme was a perfect match for his program, and Sir Randall spent one glorious summer traveling Illinois to bring his program to Summer Reading participants. 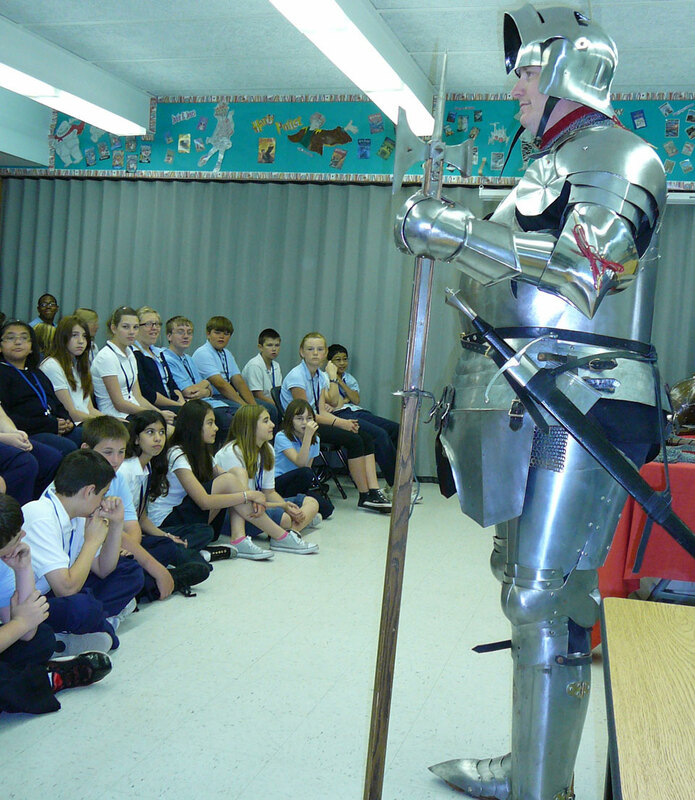 During the presentation, Sir Randall wears a mid-15th Century replica "harness," or suit of armour. He speaks to your group about a knight's training and equipment. Audience volunteers help illustrate the progression of armour and the affects of weapons which were designed to penetrate them! A fun talk with modern analogies and a few surprises keep the attention of youngsters and adults. The highlight of his demonstration is the hands-on time in which audience members get try on and handle helmets and armour. Don't worry--Sir Randall explains sharp swords and other weapons which are kept for "eyes only." Everyone leaves your program fully intact! 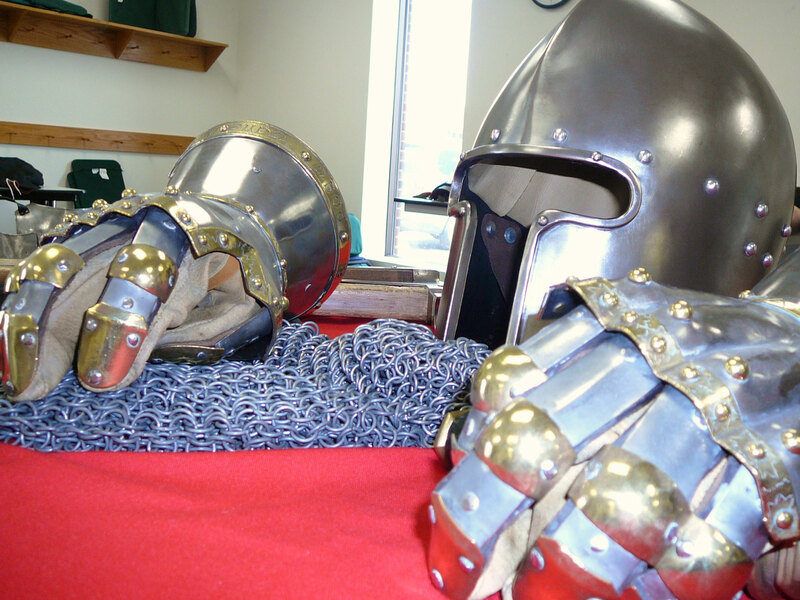 Church groups, including Vacation Bible Schools, may be interested in "The Full Armour of God" program, which can be conducted using Roman or Medieval armour. Sir Randall's 25-years of experience are supported by a BA in Pastoral Studies, with an emphasis in youth, trips to Europe and most of the major US armour exhibits and an extensive personal library.